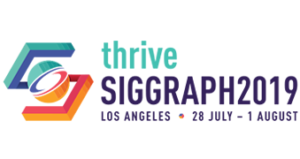 SIGGRAPH 2015 in sunny Los Angeles, California will be abuzz with attendees who are eager to learn, share ideas, compare products and take home the latest high-tech tools and software. From artists to engineers, developers and designers, SIGGRAPH draws people from around the world and across multiple disciplines. Taking place from August 9 to 13 in the Los Angeles Convention Center, SIGGRAPH 2015 will be an absolute feast of cutting-edge computer graphics research, art and technology. The SIGGRAPH conference and exhibition is a five-day interdisciplinary educational experience including a three-day commercial exhibition featuring hundreds of exhibitors from around the world. SIGGRAPH is widely recognized as the most prestigious forum for the publication of computer graphics research — but in addition to SIGGRAPH's leading-edge technical program, the conference's installations provide close-up views of the latest in digital art, emerging technologies, and hands-on opportunities for creative collaboration. The conference also hosts the international SIGGRAPH Computer Animation Festival, showcasing works from the world's most innovative and accomplished digital film and video creators. Juried and curated content includes outstanding achievements in time-based art, scientific visualization, visual effects, real-time graphics, and narrative shorts. Visit the SIGGRAPH 2015 website for more information.